We started our honey harvest on Saturday. 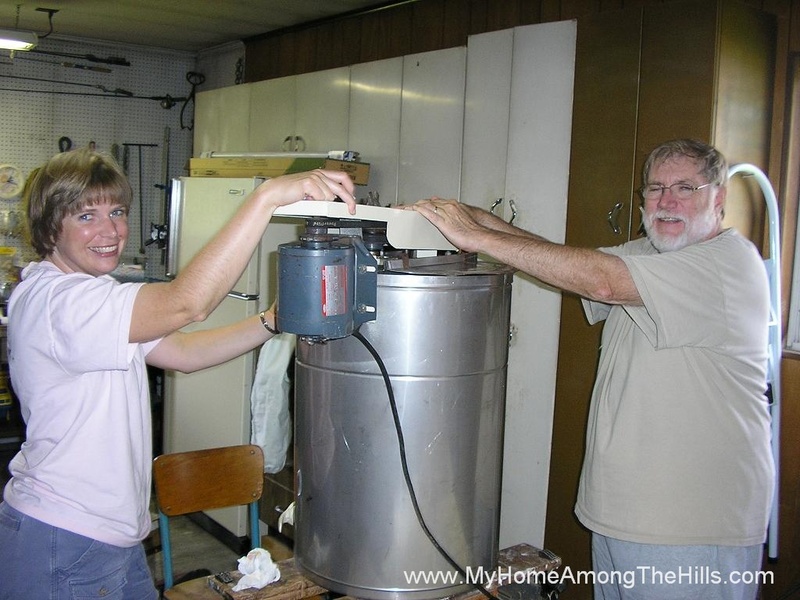 Emily’s grandparents have a perfect location to extract the honey. 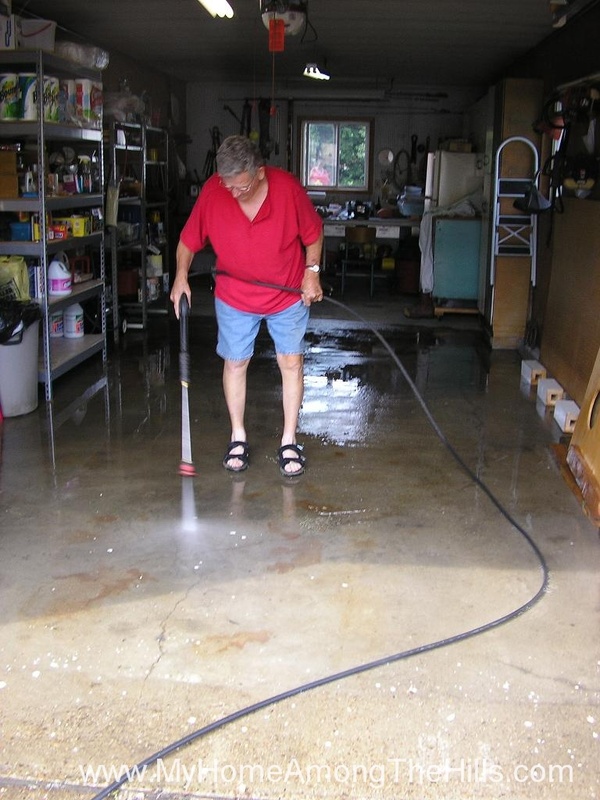 They powerwash and otherwise scrub their garage out in preparation. We set up tables and cover them with plastic table cloths. One little storage area at their place has become “the bee room”, so we just haul everyting out of it into the garage. Everything gets cleaned once more and then we bring in the honey supers. Emily’s Dad helped me collect the honey supers from the hives this year. Some folks use smelly chemicals to remove the bees from the supers. I prefer to pull individual frames from the supers, shake and brush off the bees and carry them to the garage. It isn’t any slower to do it this way and saves the smells and chemical intrustion. We pulled all of the honey at once and then went about our extraction. Our extractor is an motorized tangential version so we extract each side of the honey super individually. Radial extractors can extract both sides at once. I’ve never had one so I don’t miss the difference. We typically extract 8 or so frames before we take a break to drain the honey from the extractor tank. The only preocessing we do is to filter the honey through a seive to remove wax bits. Of course, honey is fairly thick so Emily or her mother spend a great deal of time bent over the honey gate holding the filter, waiting for the honey to flow though. Honey harvest has become a pretty good family affair. All of this work is back-breaking but it’s a lot of fun too. 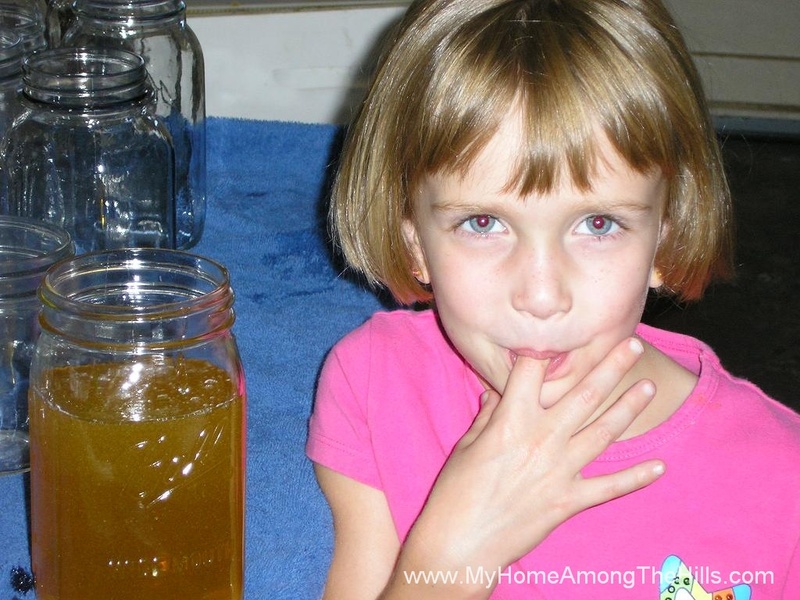 Honey is poured into individual mason jars and sealed with a lid. 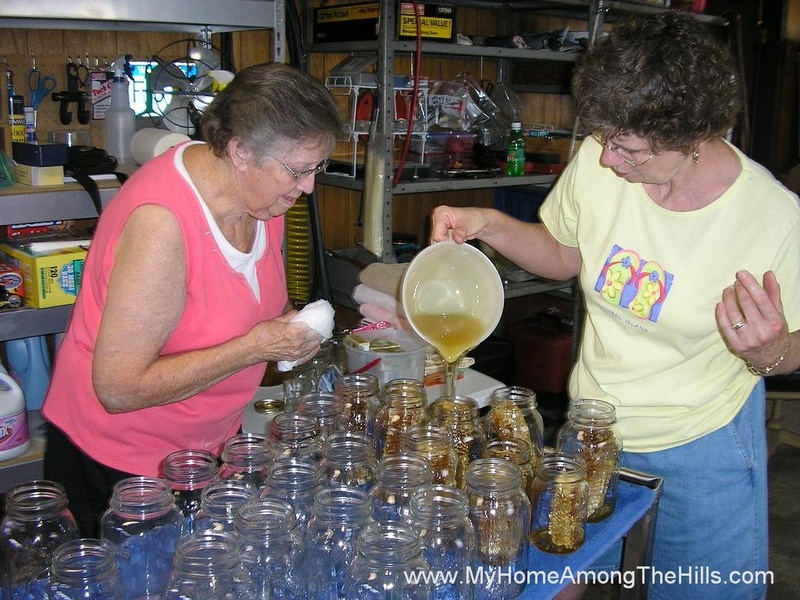 We wipe the outside of the jars as a little honey makes a lot of sticky stuff pretty quickly. The kids seem to know when to slip in so they can “clean up” after we are done extracting. It is hard to beat the tastes and smells of honey straight off of the hive. Many people who typically don’t like honey (yes, they do exist), really love to help “clean up” when we are done. In fact, it’s about the only time Emily will eat honey! That is really cool! Do you do a lot of cooking with honey instead of sugar? We do use it for cooking but definitely not all of the time. There are a few dishes in particular that we tend to use with honey. We could use it all the time though as honey almost always substitutes for sugar. 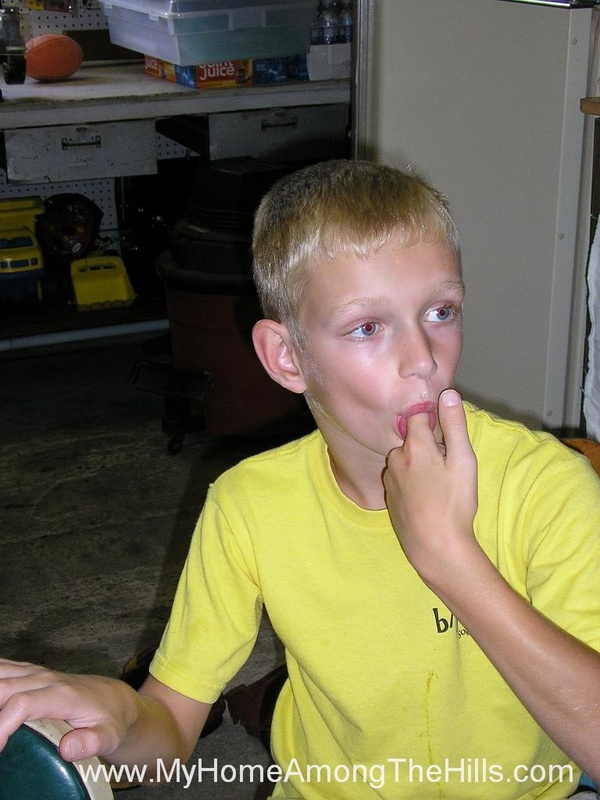 It’s funny but hitting the sugar bowl is just a habit I guess.